Superman's had enough chances to take down General Zod - now it's time for the Green Lantern Corps to give it a shot. The infamous villain of the Man of Steel has undergone plenty of reboots, re-imaginings, and retcons over the years, from misunderstood to downright evil. But one thing remains constant: any hero who gets in the way of Zod, his mission, or his army can either kneel... or die. Since Hal Jordan and the Green Lantern Corps police warlords, and don't serve them, a battle was inevitable. The bad news for the good guys? General Zod is looking to protect his family this time around. 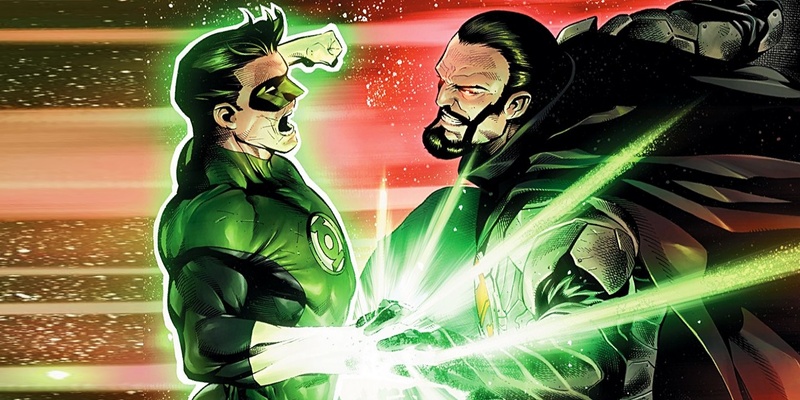 Fans have been looking forward to this epic battle of General Zod vs. the Green Lantern Corps since it was announced with a single piece of artwork. And they've been dreading the look of Zod's massive fist closed around Hal's power ring for just as long. Starting at the end of January 2018, the "Zod's Will" saga begins by picking things up where the Kryptonian general was last seen in DC's Rebirth continuity. Which means there's no better time to get caught up on Zod, his wife, his son, and the alien world they've already conquered and enslaved before the Green Lantern Corps even knew what happened. RELATED: What if Bruce Wayne Became Green Lantern Instead? It was in the early days of DC's Rebirth relaunch that the new General Zod entered the scene, but it feels like just yesterday. That's probably thanks to the way in which he announced his arrival - murdering Captain Boomerang and attacking the Suicide Squad. The specifics were kept intentionally vague, but when a device connected to the famous 'cosmic limbo' Phantom Zone was tampered with, Zod was able to escape. Having grown even more enormous than usual in size (and after a misguided attempt by Amanda Waller to force him into her Squad) Zod disappeared. He was next seen when the Death of Superman comic stars reunited to bring down the Man of Steel. The implication was that General Zod would retrieve an army from within the Phantom Zone. But in the end he was only looking to pull two people free and leave Earth behind: his wife, Ursa, and their son, Lor-Zod. And the new version of his Eradicator soldiers, for some insurance. That escape took place back in Action Comics #984, with the final page showing what remains of the House of Zod scanning an unknown alien city on an unknown alien world. Zod's promise to conquer and transform this mystery location into a new Krypton has apparently come true. Which is precisely the kind of quasi-criminal behavior that ends to draw the attention of the Green Lanterns. But by the time Hal Jordan comes knocking, and other Lanterns presumably follow, Zod is not to be trifled with - power rings or not. The synopses for the saga's issues paint some major spectacle for fans of the Corps in particular. Sure, seeing space cops take on cosmic tyrants and cruel barbarian warlords isn't etirely new. But with a villain like Zod at the center of this epic, writer Robert Venditti and artists Rafa Sandoval and Jordi Tarragona aren't likely to throw softballs. And as is usually the case in battles like these, the challenge may fall on Hal Jordan's shoulders, not just those of the Sector Lanterns. Superman will have to pay attention - the Corps might just teach him something. Hal Jordan and the Green Lantern Corps #37 will be released to local comic shops and digitally on January 24, 2018. The sage will continue through to Hal Jordan and the Green Lantern Corps #41 on March 28, 2018.